It’s safe to say that the modern day technology has a dramatic impact on our lives. Just think about it from the perspective of your personal everyday Internet use. You’re constantly browsing the endless search engine results in search of the next best piece of information. That information may come in the form of movies, documentaries and interesting articles. Or it may come in the form of some sort of written research. And that’s where our old friend, Able2Extract, steps in. One of the most used digital formats for sharing and viewing important content is the Portable Document Format, better known as the PDF. 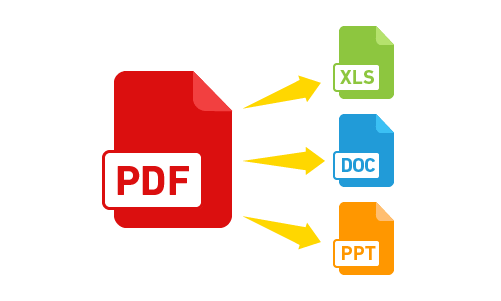 People obviously use PDF a lot, since it is practical and allows you to view files on all devices and platforms. Its major advantage is its security, which does not allow anyone to change or edit PDF documents without the approval from the document owner. But there is another side to that coin. The fact that you cannot directly edit PDF is generally considered as a disadvantage. However, that paved the way for numerous PDF software companies to design products which enable people to convert, edit and annotate PDF files. Now, there are many software solutions that can convert or create PDF files, but there are not that many that do all of the above, under one roof. After entering the application, you first need to click on the Open icon. Select your document and it will be quickly opened in Able2Extract. When you open your file you will notice the annotations panel on the right side. Here, you have the opportunity to choose between 10 different PDF annotations. This is a new feature in Able2Extract that you can use to add comments and sticky notes, highlight, underline, strikeout and just about any other annotation task. This ensures that your collaboration workflow remains intact and up to par with all industry standards. After clicking on the Edit icon, the editing panel will appear on the tool’s right side, which you can use to perform various page and text changes. Add or remove text, vector shapes and images. Move, rotate and merge multiple PDFs. Extract an individual page from your content. I have to mention one really cool thing — the brand new redaction feature. 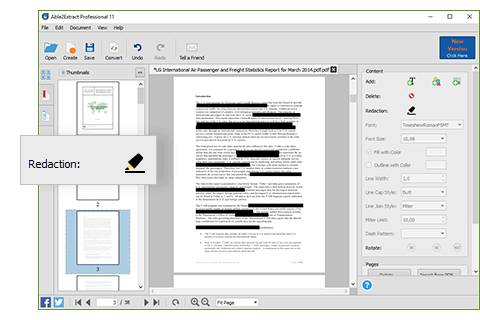 Redaction allows you to hide any sensitive data by blacking out the desired text. You can select the color you want and hide your words, sentences or even numbers if you’re working with a table containing financial information. 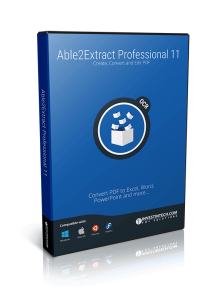 With Able2Extract 11, you can also convert scanned and native PDFs to 10 editable file formats, including Microsoft Office (Word, Excel, PowerPoint, Publisher) and formats such as AutoCAD, HTML, and image types (JPEG, BMP, GIF, PNG). 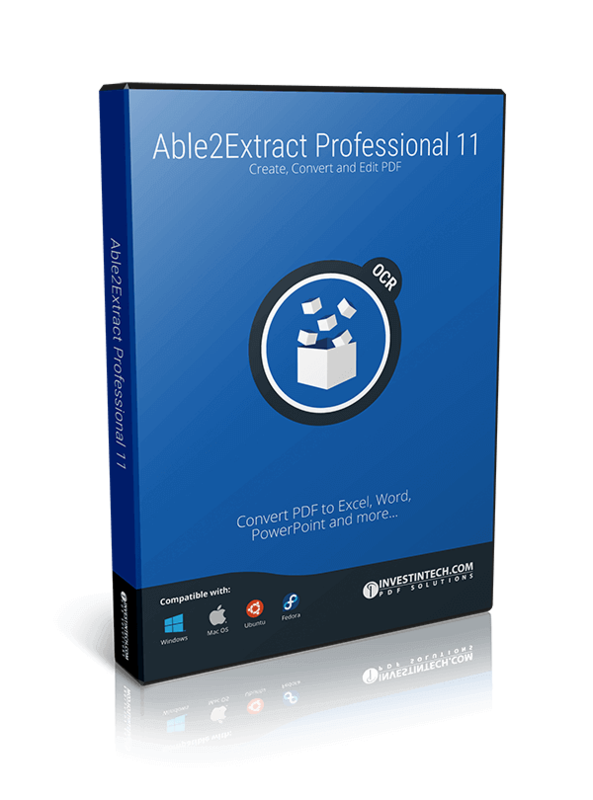 Able2Extract Professional 11 can convert PDF to Word, Excel and PowerPoint. Our overall experience with this PDF tool is quite positive, since the newly released Able2Extract Professional 11 offers a lot more PDF management options to choose from than its previous version. Anyone who wishes to check out the tool and test all its features can download a 7-day free trial here.